Losing the lower part of ones leg is among the worst types of injuries someone can possibly face. The significant suffering associated with the loss of a limb so significantly disrupts the rhythm of one's life that it can be hard to cope. The simple things become burdensome and overwhelming. The fact is that the physical loss of an extremity comes with a slew of emotional and psychiatric consequences that many are never able to fully overcome. 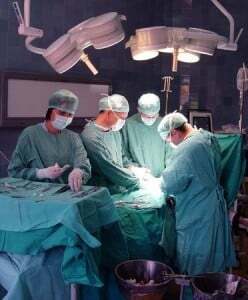 Nevertheless, each and every person suffering from amputation must take charge of their recovery, beginning with their mind. A better existence afterwards is often achieved when an injury victim truly dedicates themselves to physical and mental recovery. To do so, they must learn mechanisms to cope with their struggle. To Cope means to confront and deal with problems and difficulties, especially successfully or in a calm way. Consider the following suggestions to deal with the loss of a leg. Become dedicated to a routine, however simple it may be. This means that each and every day you engage in basic activities at a certain time and in a certain way. Creating a routine disciplines the mind to cope with difficult and essential daily functions. Because basic tasks are incredibly difficult without full use of a limb, a routine helps achieve them more easily. Engage in exercise of some sort as part of the daily routine. When we exercise, it releases endorphins that help the body handle pain and create a state of wellbeing. By exercising consistently, the mind is in a better state to enjoy life. Seek out support from family, friends and other people in your similar circumstances. A good resource to turn to in times of need is the comfort of family and friends. In most cases seeking the companionship of other people with a similar bodily injury can be critical to coping with life. Do not be afraid to do so. Avoid the long term use of heavy narcotics. Many who sustain catastrophic bodily harm turn to medication to solve their pain issues. While this is an absolute necessity during the early months, changing to alternative ways to handle pain is essential to recovering. This is because narcotics killers tend to interfere with the motivation to engage in daily activities in the same way as it was before the injury. Instead, the victim seeks out drugs. In other words, those who use narcotics tend to become drug addicts due to the highly addictive nature of the drug. Therefore, seeking out alternative therapy is extremely important to putting things back together again. Because it is lost forever, the mental aspect of recovery is the most critical aspect of recovery. While the above is not a comprehensive list of good suggestions, it is a solid start for those suffering from amputation. In addition to coping with the fact of a lost limb, there are also options available to regain some physical mobility using a prosthetic attachment. Without a prosthetic, a person is stuck with using crutches, walkers and/or a wheelchair. These methods of assistance not only limit physical activity, they also put the person on notice of their inability to move freely. Therefore, most who experience a lost limb will ultimately opt for a prosthetic. In many instances, access to a quality prosthetic allows for the regaining of basic mobility allowing for a significant increase in the qualify of life. If you have been injured by an automobile, truck or bus and need access to resources to get the care that you need for a lower leg amputation, you can call The Napolin Law Firm. Our firm of dedicated trial attorneys and staff are passionate about help anyone who has suffered catastrophic damage due to a careless driver. 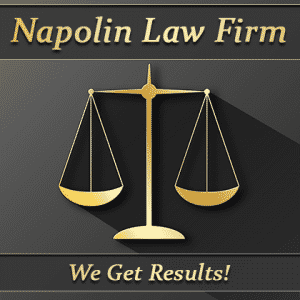 To learn what we can do to help you, call and speak to Mr. Napolin today free of charge.